Earlier today, the Australian peacekeeping memorial on ANZAC parade in Canberra was formally dedicated by the Governor-General, in a ceremony commemorating 70 years of Australian engagement in peacekeeping. The memorial is long overdue: Australian military, police and civilian personnel have served in dozens of peacekeeping missions since military observers first deployed to the Dutch East Indies in 1947. Australia has a long and proud history of supporting peacekeeping, so it’s a welcome move to see that recognised with a dedicated memorial. But it also prompts some questions about the future direction of Australia’s engagement, particularly in UN peacekeeping operations. 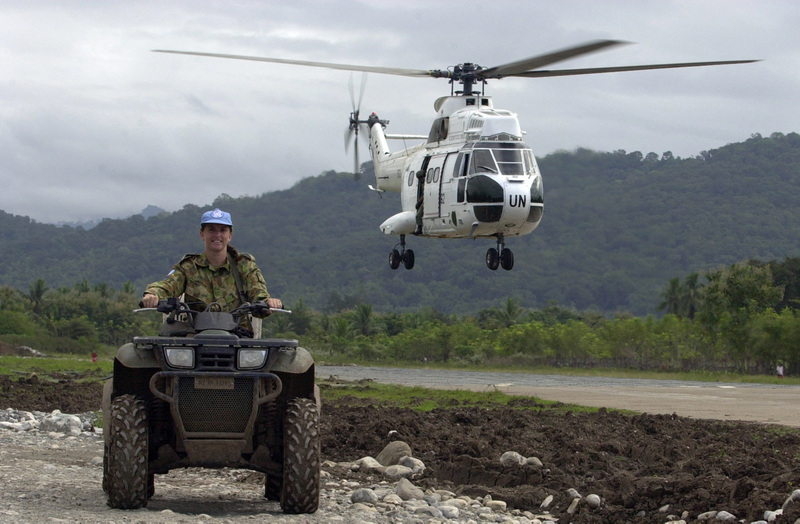 As part of the activities taking place during peacekeeping week here in Australia, the UN Association of Australia will be hosting a national conference examining what’s next for Australia’s UN peacekeeping engagement. It’s a critical question. 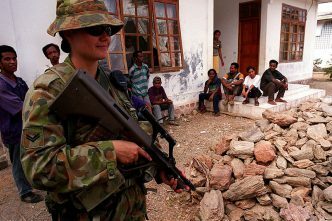 Australia was frequently ranked among the top ten military and police contributors in the early 2000’s during the height of our engagement in Timor-Leste. Today those historic levels of engagement are a distant memory for Australian government officials and politicians. At present, Australia falls outside the top 80 countries contributing troops and police to UN peacekeeping, with around 32 personnel deployed to missions in the Middle East and South Sudan. Only three G20 countries currently deploy fewer UN peacekeepers than Australia—Japan, Mexico and Saudi Arabia (which makes no contribution). Despite the commitment to the rules-based global order in the 2016 Defence White Paper, there’s no concerted effort underway within government to consider Australia’s future in UN peacekeeping operations. As I’ve previously noted (here, here and here), Australia’s ability to influence, understand and retain institutional knowledge about UN peacekeeping is diminishing. That’s a worrying development, considering that Australia may need to support or lead the standing-up of a UN mission in our region again in the near future. Take the example of senior leadership positions. 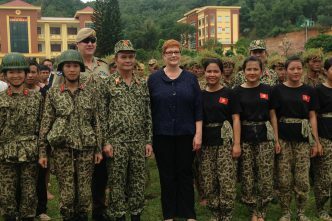 Australians have previously held a range of command positions in UN missions, including as force commander of the mission in Cambodia, as well as senior posts such as the UN Military Adviser in the Department of Peacekeeping Operations. Yet there are no currently-deployed personnel above the rank of colonel in senior leadership positions in UN peacekeeping missions or at headquarters in New York. That’s a reflection, in part, of Australia’s current low levels of engagement across UN peacekeeping missions. The lower down a country is on the list of major troop and police contributors, the less political sway it has in securing senior leadership posts (unless, of course, it’s a P5 member of the Security Council). However, even in cases when Australia is asked to nominate for senior leadership posts, there’s often limited interest in doing so. 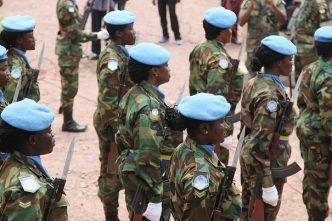 It can also be a challenge to identify candidates with the requisite experience serving in UN peacekeeping operations, as the pool of ADF personnel who have served in UN missions has declined significantly in the past decade. That means Australia is at a disadvantage compared with other countries when it comes to nominating for and securing the senior leadership posts that provide valuable command experience and insight into the limitations of UN peacekeeping, as well as prestige and influence. There’s also a disconnect between Australia’s policy engagement (‘what we say’) and our deployments (‘what we do’). 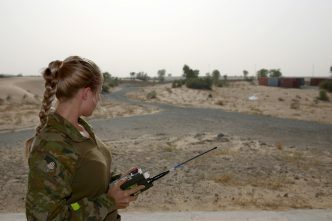 On one hand, Australia’s commitment to deploy a military gender adviser to UNMISS reflects the government’s high-level engagement on women, peace and security. That’s a welcome move, but it’s a vastly different story when it comes to the role of police in peacekeeping. 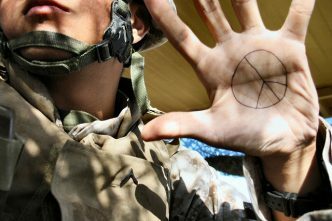 The withdrawal of AFP officers from the UN Peacekeeping Force in Cyprus in June this year means that, for the first time in 50 years, Australia has no police peacekeepers deployed on UN missions. That’s despite Australia’s role in championing policing when on the UN Security Council in 2014, which resulted in the adoption of resolution 2185—the first ever resolution focused on policing issues. Regardless, Australia is no longer represented among the nearly 12,000 police peacekeepers deployed on current UN missions. The Canadian Government will host the next annual peacekeeping ministerial meeting in Vancouver on 14-15 November. Countries have been invited to consider making ‘smart pledges’ that address new or emerging capability requirements in UN peacekeeping, in partnership with other countries. Partnerships provide Australia with an opportunity to enhance our engagement in peacekeeping, without the overheads of deploying a raft of capabilities. They can also provide a vehicle to enhance and strengthen bilateral relationships. That might include identifying opportunities for ADF personnel to serve as part of larger contingents with key partner countries. The growing security relationship with France offers enormous potential in this regard. Similarly, partnerships—such as the one that Australia recently had with Japan in South Sudan—can further cooperation and develop operational experience with regional partners. UN peacekeeping therefore not only serves Australia’s interests in supporting the rules-based global order, but can also serve to strengthen Australia’s evolving defence relationships. It’s important that we reflect and commemorate the important sacrifices that have been made by Australians serving on UN peacekeeping operations in the past 70 years. But we should also take the time to consider how we build on that vital legacy. Lisa Sharland is head of the International Program at ASPI and a non-resident fellow at the Stimson Center in Washington, DC. Image courtesy of the Department of Defence. Implementing the WPS agenda into Defence: concept or capability?